Standard room amenities : Cable TV with PPV movies, coffee maker, desk, AC, electronic door locks, hair dryer, iron and ironing board, Nintendo, radio. Hotel amenities : Maid service, wake-up calls. 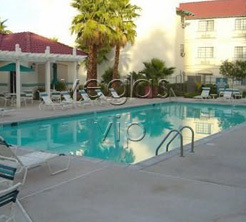 Located just three miles from McCarran International Airport and six miles from downtown Las Vegas, La Quinta offers guests a clean, comfortable room at an affordable price. All rooms feature modern amenities that guests have come to expect from a hotel of this quality. 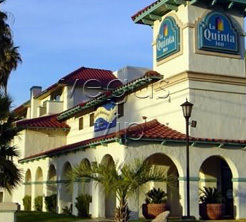 La Quinta is well suited to the needs of both the business traveler and the leisure quest. The spacious, bright bathrooms feature Corianｮ vanities, tiled floors and large, angled mirrors. La Quinta provides a daily complimentary breakfast. 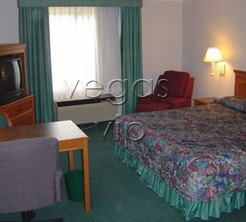 The hotel is convenient to many dining, shopping and entertainment venues.